So happy to share with you all, that i get a job and going to work tomorrow! Hahaha, so happy since i had been job-less for these few days. Damn boring sit home, everyday also play computer, watch dvd, play psp (djmax), sleep, eat…..
My job is as a promoter at nearby supermarket TF. So who want to buy Yeos drink can buy from me… but no deliver… Haha. Time is from 1pm – 10pm. After calculating, the pay i get is much more higher than working in Genting, plus can sleep on my own bed. I work for only 14 days, means that this work is only for before CNY. Means that i need to find a job again after my CNY… thats terrible. And another happy thing to share is, i pass my undang exam today… but not very good lah, at least pass. 43/50. the passing mark is 42/50. OK lah. reasonable. since i only spend less than 2 hours reading my undang book. 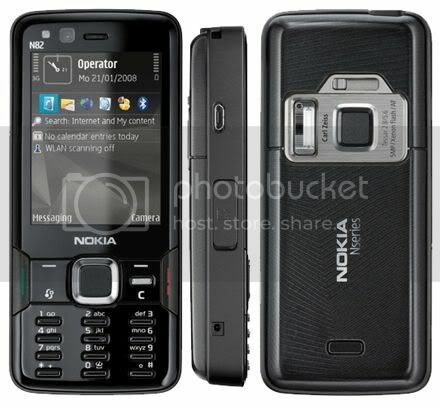 And last one happy thing is, im getting my new hand phone later in today! Thats why i choose N82, and is also it is affordable by me. very “gan zheong” before getting my phone… why the time pass so slow…. will write about my phone more soon. After i start working, i hope i still can spend sometime to blog. And hope you enjoy my blog. 1. Im reconstructing my edu blog. Repairing download links, content and more new content. Should be finish reconstructing by March. 2. I have a new themed blog and forum opening soon… i bourght the domain name http://dj-max.org/. wordpress and phpbb is setting up. Will let you guys know when its ready to online. BTW, how to make a flash intro for my site… i want to try making it myself. Any guide? 2 Responses to I get a job!